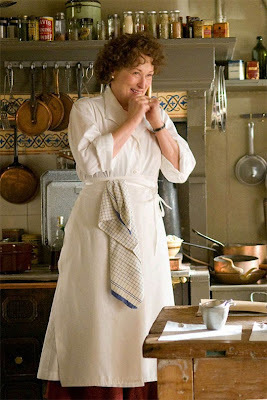 I just saw Julie & Julia, and I don't know quite what to say. 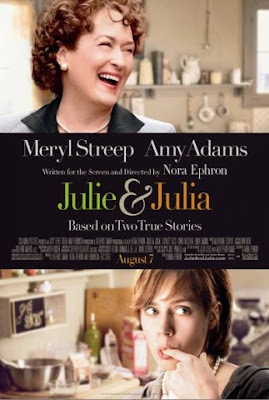 Absolutely everything was well done about this movie. The writing, the acting, the plot, the cinematography. I laughed so hard that my man had to cover my mouth (i was squeeking.) I also cried (ugly cried) at how universal our struggles are: Trying to find purpose. Overcoming tedious days to pursue true passions. Being grateful for the people who encourage those passions. 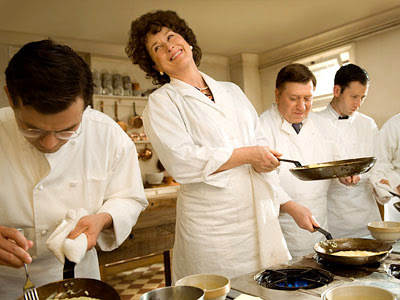 And the appreciation of delicious food. What were your favorite parts of the movie??? And here are the real characters!!!! 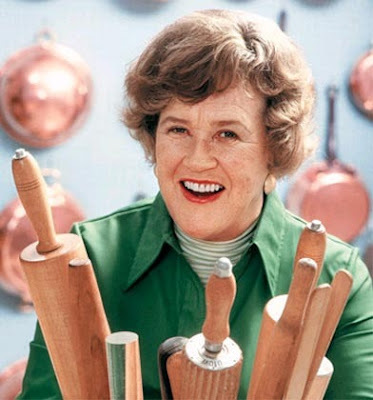 Julia Child The real Julie Powell and her husband.